Most mobile apps today use static pricing. Prices are hardcoded into a mobile app and rarely change. But with freemium mobile apps taking a data-driven approach to improve monetization metrics, app developers are looking at ‘pricing as a service’ solutions like Sweet Pricing to increase revenue and engage price-sensitive users. Traditional consumer businesses, including many store-based retailers, have previously thought of pricing as more of an art than a science. The lack of data has made it difficult to understand consumer purchasing behavior and even more difficult to create actionable insights in terms of pricing. That is not to say these businesses do not use data where it is available. Many retailers keep a close eye on their competitors’ prices and react quickly to changes in market conditions. But very few retailers have insight into the purchasing behavior of individual customers. The ‘pricing as an art’ attitude is also prevalent in online and digital businesses. Mobile app developers often copy prices of in-app purchases from a popular mobile game like Clash of Clans. Even though mobile apps collect rich analytical data about their users, developers have not had access to the tools that enable them to act on this data. In-app purchases are driven by behavior. Users do not shop around mobile games or apps to compare prices. 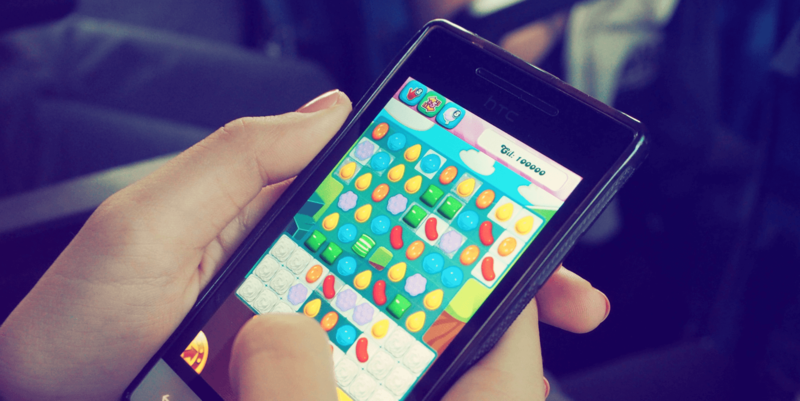 It is the in-game experience or utility of a mobile app that encourages users to act on their impulses. Because of their digital nature, mobile apps can easily collect and analyze data from millions of users. Mobile app developers can see how users interact with a mobile app and monitor high-level metrics like retention and engagement. But app developers also use data to improve a mobile app. Proper analysis of data produces actionable insights that can improve an app’s retention, engagement and monetization characteristics. Many app developers use third-party A/B testing and analytics tools to iteratively improve their mobile app over time. For example, app developers often optimize the delivery and message of their push notifications. Sending a push notification at the optimal time will increase conversions or improve a mobile app’s engagement metrics. Simply taking an A/B-tested rule-based approach will improve conversions, but more sophisticated apps use a hyper-targeted approach. They personalize the message and timing of a push notification for each user individually. The data-driven personalization of mobile apps presents an exciting opportunity for in-app purchases, too. Mobile apps can deliver targeted pricing and promotions which can increase revenue and engage price-sensitive users in the paid experience. Most mobile apps use static pricing. 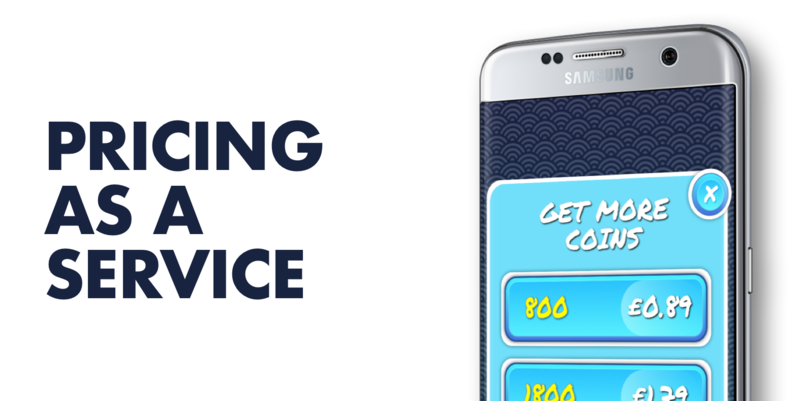 Every user sees and pays the same prices for the in-game currency or in-app purchases sold. The prices are managed by Google Play and iTunes Connect, making it impossible for an app developer to offer targeted pricing to their users. But static pricing is not optimal. Whatever price the app developer selects, they will split their audience into two groups. One group of price-sensitive users see prices as too high and will be deterred from making a purchase. The other group would be willing to pay more. With static pricing, app developers think of their sales as being related to the prices of their in-app purchases. An increase or decrease in price will have a definite impact on revenue. So app developers use A/B testing to find a single optimal price point for each in-app purchase. But the level of price-sensitivity is not a characteristic of an audience. It is a characteristic of an individual user. So the optimal approach is not a static approach, but a dynamic pricing approach that factors in a user’s location, engagement and behavioral characteristics. As app developers look to optimize their mobile app, they look at tools like dynamic pricing. This ‘pricing as a service’ approach to in-app purchases automatically sets prices for each user in real time. With a 4-hour implementation, a solution like Sweet Pricing makes it easy for any app developer to optimize their prices and boost revenue.